We thought you might be jonesing for something a little different today. So here’s a 1955 Bengalese film that impressed the folks at Cannes so much they nominated it for the Palme d’Or. Pather Panchali (“Song of the Little Road”) is based on a 1929 novel by Bengalese writer, Bibhutibhushan Bandopadhyay, and is an example of neorealist filmmaking. It’s the first instalment of a trilogy that examines the life of a Bengalese family wrestling with poverty and never-ending injustices. This film has unexpected moments of joy that feel like a cool breeze: children racing to watch a train rumble across the landscape; a girl admiring a pretty necklace; a father smiling when he sees his children having fun. But because we’re in neorealistic territory, the film has moments of intense sorrow. Do not come near this movie without a tissue handy. Director Satyajit Ray did not use professional actors in this film. In fact, this was Ray’s first film, which he shot over a period of three years while he worked full time for an advertising agency. Despite – or maybe because – the actors are not professionals, their performances are mesmerizing. You forget you’re watching a movie; you almost feel as though you are living with this family. 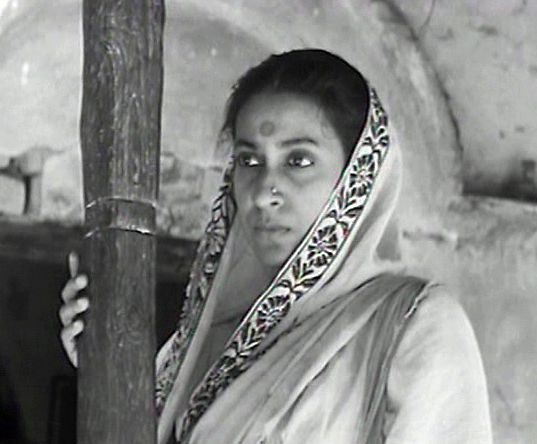 There is much to discuss and admire in Pather Panchali, but we’re going to concentrate on the mother, Sarbajaya, played by Karuna Banerji. She is, in our opinion, the most compelling character in this remarkable film. From a global perspective, Banerji’s character is one of the most vulnerable people in the world. She is a poor, rural woman in a third-world country who is often abandoned by her restless husband to care for their children alone. But Banerji’s character is smart and engaging and unafraid to say what she thinks. Banerji is one of those actresses who doesn’t need to speak to convey her thoughts. In another scene, she watches the family’s contentious but aged Auntie return to their property. She’s come to die, Auntie announces, as she shuffles toward the house with her thin bedroll and cloth bundle – her only possessions. Banerji, wordlessly sipping from a mug, studies this sharp-tongued, elderly woman without sentimentality: This is how life ends for a woman. It’s a surprising film in many ways. We did not expect the female characters to be featured more prominently than the men. We did not expect to see scenes of incredible beauty filmed in stark black and white. Most of all, we did not expect to be so emotionally connected to this family. Pather Panchali is one of those quiet films that steals your heart without your noticing. We urge you to drop everything if you ever have the chance to see this incredibly moving film. Pather Panchali: Song of the Little Road starring Kanu Banerji, Karuna Banerji, Subir Benerji. Written & directed by Satyajit Ray. Janus Films, 1955, B&W, 135 mins. The film sounds like an incredible journey. Thanks for opening my eyes to a classic. This is a special film that stays with you for days –or weeks, in my case. I cannot believe the actors in this film are amateurs. They are that good. This looks like a wonderful film. I’ve been meaning to broaden my viewing horizons for a while now, and this looks like a great place to start. 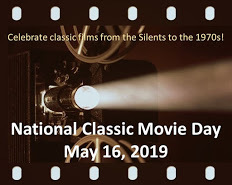 It’s a shame that so much ‘world cinema’ goes un (or at least under) acknowledged, especially in an era of Hollywood remakes and sequels. Oh – I hope you get the chance to see this! It really is an incredible, rich film. The whole Apu trilogy is tremendous. The cinematographer Subrata Mitra is also said to have pioneered bounce lighting of natural sunlight on the sequel to this film. Thanks for the wonderful review, I really need to re-visit this film in the near future. I haven’t seen the other two films, but I am keen to track them down. The first film has become one of my favourites. This sounds like a very interesting film, Ruth. I am fascinated by movies and books that deal with poverty, I’m not sure why. Maybe because I want to see how they are able to overcome their situation or how they are able to be happy in spite of it. How were you able to find this movie? Did you find it on Netflix? I would like to see it even though I usually stay away from movies where I know I’m going to cry my way through. Thanks for calling attention to this one. It almost sounds like reality TV before there was reality TV. Only way better! Shari, this is definitely a film to see. The characters feel so real, you’d swear you know them in “real life”. TCM aired this movie a few months ago. I recorded it and finally had the chance to watch it a few weeks ago. I like it so much I want to order it on Blu-ray! One of my all time faves. It’s so great, isn’t it. I wonder if it’s included in the Criterion Collection? Will have to do a little online shopping, methinks!